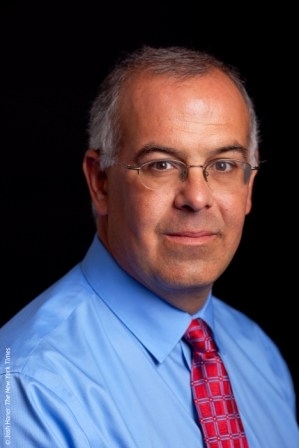 David Brooks has a gift for bringing audiences face to face with the spirit of our times with humor, insight and quiet passion. He is a keen observer of the American way of life and a savvy analyst of present-day politics and foreign affairs. He holds several prestigious positions as a bi-weekly Op-Ed columnist for The New York Times and a regular analyst on PBS NewsHour and NPR’s All Things Considered. He is the author of two books of what he calls "comic sociology"—descriptions of how we live and "the water we swim in" that are as witty and entertaining as they are revealing and insightful: Bobos in Paradise and On Paradise Drive. Bobos in Paradise was a New York Times bestseller. David’s current book is titled The Social Animal: The Hidden Sources of Love, Character and Achievement, on why neuroscience and sociology are so important to thinking about politics, culture and the future of America in world society.